Effective teaching aids for the oil and gas industry offer a range of possibility in several fields, including research and development, marketing, training, sales, and more. Compacting information into easily digestible chunks, creating real life simulations, and offering unheard of detail in imagery, makes training and marketing materials more effective than ever before. How do companies reach that educational level up? The incorporation of 3D oil and gas animation in Houston offers a solid start. HexaGroup's innovative 3D animation solutions bring your O&G products and services to life providing prospective customers with a realistic picture of your offerings. While flat imagery has its place, and can offer surprisingly vivid pictures, it cannot actually create a digital image of a product or piece. When creating engineering solutions for the oil and gas industry, imagery must do more than simply represent the piece. It must create a rendition so realistic that it can show how it will perform in real life situations. For 3D oil & gas in Houston, only a true representation can offer the necessary guidelines for piece design and productions. Creating a realistic, three-dimensional image, allows researchers to stress test parts before spending the money on manufacturing. As the U.S. capital for production of fossil fuels, Houston holds more companies that specialize in the industry than anywhere else in the country. 3D oil and gas in Houston can benefit from the addition of digital modeling by reducing costs when developing new solutions for improved flow and spill mitigation. After all, capping a well deep under the ocean is not a situation that can be reliably re-created in laboratory conditions. Using a 3D representation, researchers can find unique solutions for every instance. What works in the research lab also works on the trade show floor. A demonstration that uses only 2D graphics does not have the same impact. First, it limits interaction. A prospective buyer can not maneuver the piece to see a 360 degree view, watch the piece during the installation process or see a real time lapsed version of piece performance. A 3D representation offers a complete customer experience. They can upload schematics specific to their business and see exactly how things work with the new product. They can see the challenges and benefits of installation, and work out exactly how to approach the issue for their company. 3D offers a fact-based approach to marketing that is ideal for engineering, logistics and operations professionals. In addition to the benefits in R&D and marketing, 3D also has a place in training. Developing training content using 3D animation helps reduce the time to field for new technicians and other employees. Switching to 3D animation, video content and integrated solutions helps businesses transcend the outdated model of individual departments. The right combination can help turn R&D into salesman, and turn salesmen into information sources for R&D. 3D animation is revolutionizing the O&G industry allowing for engineering solutions that were previously unable to be captured in the field to now be realistically demonstrated in action. Want to learn more about our 3D animation services? 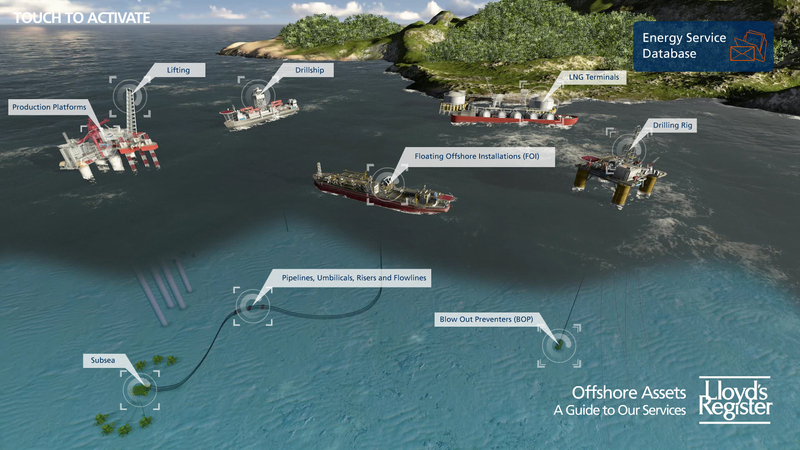 Contact us or download our Oil & Gas 3D Animation E-book.